In an effort to have consistency across the country, Ringette Alberta announced that teams in Alberta would follow the new guidelines set out by Ringette Canada. This meant that our rep teams (formerly "A") would now be called "AA", and our former "B" teams would be considered "A", and former "C" teams would become "B" level. The University of Calgary held a Ringette School from July 31 - August 6. 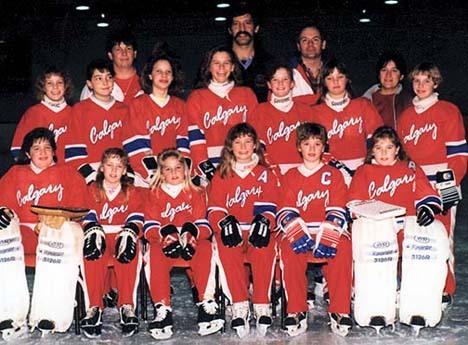 There were 762 players registered with Ringette Calgary, a total of 58 Registered teams. 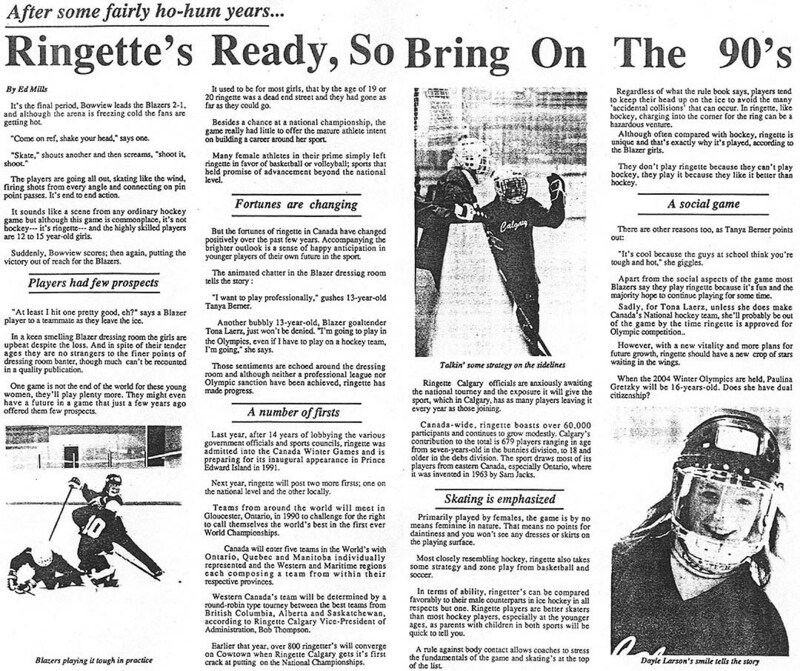 The U of C included Ringette as both an activity course and an intramural sport. 151 girls registered for "AA" tryouts. 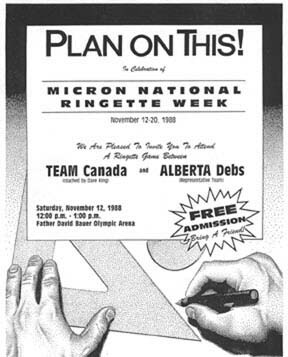 The Ringette Calgary casino was held October 9-10, 1989. Ringette Alberta's Provincial Entry Fees were $250. Effective September 1988 new coaching requirements were introduced to receive certification for full Level 1, Level II and Level III. The first Level 3 Technical Coaching course was held in August of 1989. NCCP Requirements for coaching changed - it was no longer possible to obtain practical certification by simply acting as a coach or assistant coach. The new requirements meant that practise plans had to be submitted, and the coach had to be evaluated. 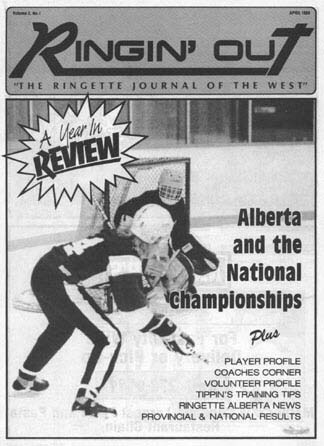 "RINGETTE" gained a berth into the Canadian Encyclopedia and into the World Book Encyclopedia. The Canadian Ringette Championships were held in Fredericton, NB. 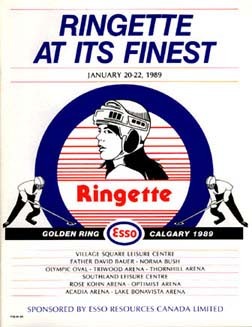 The Esso Golden Ring Tournament was held January 20-22, 1989.